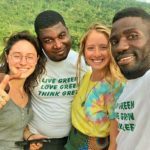 Wwoof in Ghana at an eco-farm and regenerative center! We are a non-profit organization here in the Volta region of Ghana West Africa. 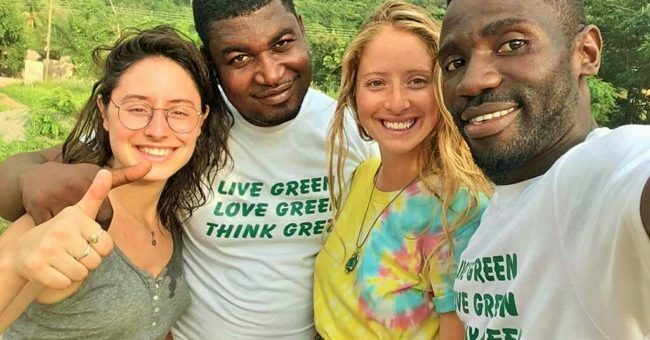 Our project is an ecological based organization effort with the aim of restoring, improving and maintaining a well-functioning ecosystem and through this way ensuring that humans, animals, fruits, vegetables, peacefully and happily co-exist in our Ecological Regenerative Center/Community, therefore, creating an amazing example of regenerative – sustainable agriculture and sustainable living in Have, Ghana. We teach, empower and promote peace and culture through the use of ecological systems. Would you like to know more about Ghana/ African culture? Would you like to learn about resource-based economy and ecology? Like to learn or speak a foreign language, an exchange cultural and experiencing travellers from different countries? If you’re thinking about making a different journey and learn more from the Africa continent. In our Eco-project, you can also enjoy a natural environment, perform different field activities, cooperate with a project that is just beginning and aims to learn to develop and share experiences with the people of our community and its surroundings; it’s very important to us that these projects can influence the population, people from different places can come to know our eco-project, bring their children, they can see animals and see how to develop a sustainable economy and live well with a well functioning ecosystem. Matthew is the CEO/Founder – He is a certified Agro-Ecologist, Permaculturist, Slowfoodist, Climate Change Activist, Eco-Designer, Humanitarian, Peace Advocate, Creative Artist, Wellness Coach, Sportsman and a Missioner. 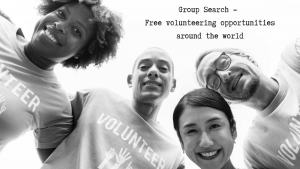 We need volunteers/helpers in different areas… No skill required. feeding the farm animals, etc. In the house, cleaning and cooking, we are like a family and we must maintain order and cleanliness and we must also keep us well fed. 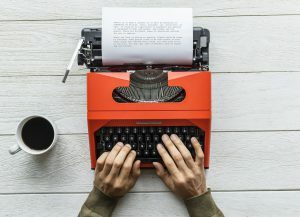 Try to be creative, observe, dare to say great things, trying new things, we need new contributions of ideas, points of view different from ours, enjoy what we do because we love, and we want you to feel. We offer different types of food, from Variety to Vegan – Vegetarian. Other times we cook together because it helps us stay together, learn and share. Speak foreign languages, Culture lessons, Cooking lessons, make new friends, mingle with the community and at the end get a certification/testimonial. At leisure, we help arrange visit to amazing places around to reconnect with nature such as the Village on the mountain, Monkey sanctuary, the highest mountain in Ghana, Waterfalls, Fishing on boat, Lake Volta, Etc. The Volta Region is best accessed by road. STC, the national bus network of Ghana, runs buses every day (except Sunday) from Accra to Ho. These buses are air-conditioned, run on schedule and are efficient and quick. STC buses depart from their own stations where tourists can book tickets in advance so that they are assured of a seat. Metro-Mass buses, which can be identified by their orange colour, also run buses from Accra to Ho, Hohoe and Kapando as well as smaller localities in the Volta Region. They operate out of tro-tro stations and are cheaper than STC buses, though they charge an additional fee for luggage. Tourists can hire either shared taxis or drop taxis to reach Ho, Hohoe and Kpando. Shared taxis are less expensive. However, these taxis do not start till the drivers have taken on as many passengers as they can, so that the taxi gets a bit cramped and you may reach your destination a bit later because the taxis stop frequently to drop passengers. Drop taxis are a more comfortable way of getting to Volta, although they may be more expensive. Tourists are assured of a comfortable drive and a reasonable degree of punctuality. However, I advise to negotiate and fix the fare before you start, as drivers do try to earn that extra bit, especially from tourists. The best way to reach the Volta Region is to hire a car from Accra. This journey takes at least four hours. Even though the roads outside Accra are, sometimes, merely dirt tracks, hiring a car does provide certain flexibility and comfort. Tourists can also reach the Volta Region by tro-tro or minivan. This also provides an opportunity to drive through local villages. The journey from Accra to Ho by minivan takes about two hours. Tro-tros are relatively cheap, the only disadvantage being that they have no fixed schedule and tend to squeeze in too many passengers. Tro-tros, minivans and cars are the most preferred modes of Volta transportation for getting around the Volta Region. While there are buses that ply in this region, many tourist attractions here involve trekking and take some time. It may not always be possible to synchronize your timings with those of the bus. Tro-tros and taxis are transport means in Volta found everywhere and are relatively cheap. Tourists can also get think of getting around Volta by ferry. There are many cruises from Akosombo and other places along the coast to Lake Volta and boat operators are only too happy to ferry tourists around for that extra tip or ‘dash’. The Ghana and Volta transport system is not very organised and efforts are underway to streamline transportation systems. In the meanwhile, indigenous modes of Volta transport like ferries, cruise boats and tro-tros fill in the gaps adequately. Our site is located in Have Volta Region and its 3hours drive from Accra – Kotoka International Airport. Thank you for your update! Well, I am from Ghana, Accra, and I would love to join you! Yes this is open for everybody of any nationality! Please use the form or contact details section to get in touch with the hosts!